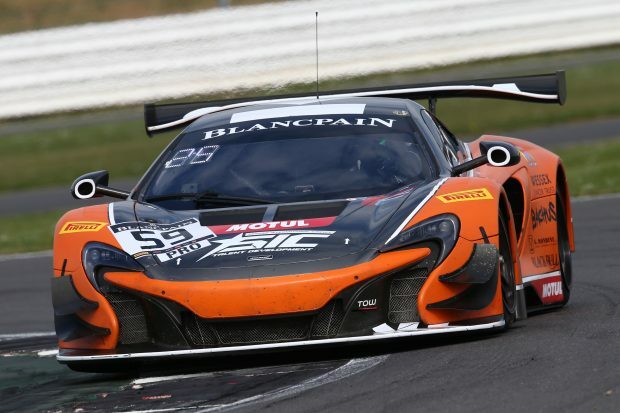 The jewel in the crown of the Blancpain Endurance Series, the Total 24 Hours of Spa, takes place this weekend at the Belgian Spa Francorchamps circuit in Belgium. Jazeman Jaafar will be making his third appearance in this prestigious race. Racing the Strakka Racing #59 McLaren 650S GT3, Jazeman will share the driving duties with team mates Andrew Watson and Pieter Schothorst. The trio of drivers will be putting in a full 24 hours of running between them, with the race starting at 16.30 on Saturday and finishing on Sunday afternoon. It has been over four weeks since the last round of the Blancpain GT Series, with just a one day Spa 24 Hours test session leading up to this big weekend, so Jazeman has been preparing off-track in the run up to the event, spending time in the Strakka Racing simulator and putting in hundreds of hours on his fitness training programme. The young Malaysian, a McLaren Academy driver and part of the Sepang International Circuit Talent Development Programme, is relishing the chance to be racing for around eight hours over the course of the race. Jazeman has already travelled to Spa for the event, with the pre-race activities spread throughout the week. The first of these is a traditional parade of all the cars entered being driven on the public roads to the Spa town centre followed by a drivers autograph session. On track action starts on Thursday with the practice and qualifying sessions. Friday is a day for the final car preparations, before a warm up session and the Super Pole session in the evening. All the Spa 24 Hours track action can be viewed live on GT World, the Blancpain GT Series internet channel. Visit www.blancpain-GT-Series.com for all the information.